Established in 1993, Aztek Fencing of Fort Collins, Colorado has proven to be an industry leader in custom fencing solutions by providing premium quality fencing materials, expert knowledge, and courteous, professional service. 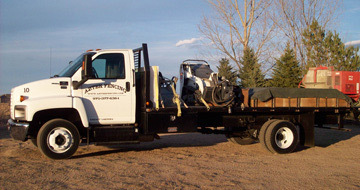 We specialize in superior fencing work, from traditional styles to custom requests and our fence contractors crew boasts twenty years of comprehensive experience combined with extensive knowledge of both agriculture and construction industries, allowing for complete solutions that effectively meet your specific needs. Because true economy is quality, Aztek Fencing clearly recognizes that quality is our first job. Every member of our fence company staff takes pride in their work and level of service; from the initial estimate to the last stage of production. 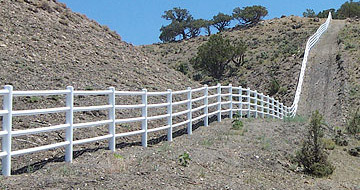 Our fence contractors are able to accommodate even the most discriminating tastes and requirements, and will happily travel to remote locations in Colorado, Wyoming, Nebraska, Kansas, and beyond in order to serve you. Additionally, we use only premium fencing materials and expert craftsmanship to ensure that you obtain a superior product that endures the tests of time. Aztek Fencing realizes that you work hard for your money, which is why Aztek works hard for you. Visit the Aztek Fencing contact page or simply give us a call at (970) 635-3462 for a quick and professional fence quote.